Our increasing thirst for free user-generated online content means we are "reading more but knowing less". Author Andrew Keen cites Wikipedia as an example of how the Web 2.0 concept is seducing us "into creating an inane, chaotic and indulgent culture in which we trivialise ourselves and everything around us". Keen was speaking to PC Answers magazine about his book The Cult of the Amateur. He argues that user-generated sources of media and information such as Wikipedia and YouTube are "unreliable, biased, poorly written and corrupting". 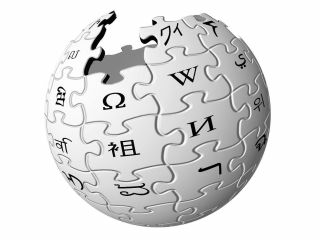 "I think Wikipedia is a really interesting phenomenon," Keen says. "Clearly it does satisfy a certain thirst for information. My problem with Wikipedia, though, is that often it's unreliable, it lacks any kind of context and it caters to an increasingly trivialising and inane kind of culture. "In theory, the crowd is this infinite editor. But in reality it doesn't work like that - most people don't check. The majority of entries are too obscure to get critical insight and critical editorial coverage and so it means that the information just is wrong, corrupt or insulting. "One of the purposes of my book is to challenge the thoughtless optimism of the Web 2.0 utopia - the idea that this utopia is going to result in the end of scarcity and infinite choice for everyone." Read the full interview - as published in the latest edition of PC Answers, which is out now.